In today’s times, we’ve seen that dietary fat is no longer viewed as a bad thing. In fact, people are jumping on the fat bandwagon so much we are seeing a recent explosion of very low carb, very high fat diets out there today. And, the research backs this up. High fat diets are well-known to provide many health benefits including reducing your risk factor for disease, lowering your chances of getting diabetes (1), and helping you control diabetes to name just a few benefits. But, you do need to choose your fat intake wisely. If you load up on deep fried foods rich in saturated fat or frozen pastries that contain high levels of trans fats, healthy is not something you will be. This is why taking the time to plan out your diet is key. One dietary fat that we are seeing offer tremendous health benefits that you should be taking advantage of is black seed oil. This oil is one that many people often overlook for other oil varieties such as olive oil, coconut oil, or even sesame seed oil. While those are all certainly healthy in their own right, there should be room for one more oil in your diet. By alternating between all these healthy oils, you’ll get the best benefits possible from your food intake. Let me share with you right now why black seed oil is a must in my opinion to include in your diet plan. Before we dive too deep into the benefits of black seed oil, let’s first define what this oil is. This oil comes from the seeds of black cumin, which is not related to the cumin that you may know that makes up turmeric. These are two entirely different seeds, so don’t get those two confused. Black cumin is a plant that grows in southwestern Asia, the Mediterranean, as well as Africa and has been used for many years as a herbal medicine. Black seed is not is black pepper, black sesame, or black cohosh so be sure you are not confused with this. Those too are entirely different and will offer their own unique set of benefits. Black seed contains three key compounds which helps to benefit the body so greatly. These are thymoquinone (TQ), thymohydroquinone (THQ), and thymol. Together they work towards helping you be the healthiest you that you can be. 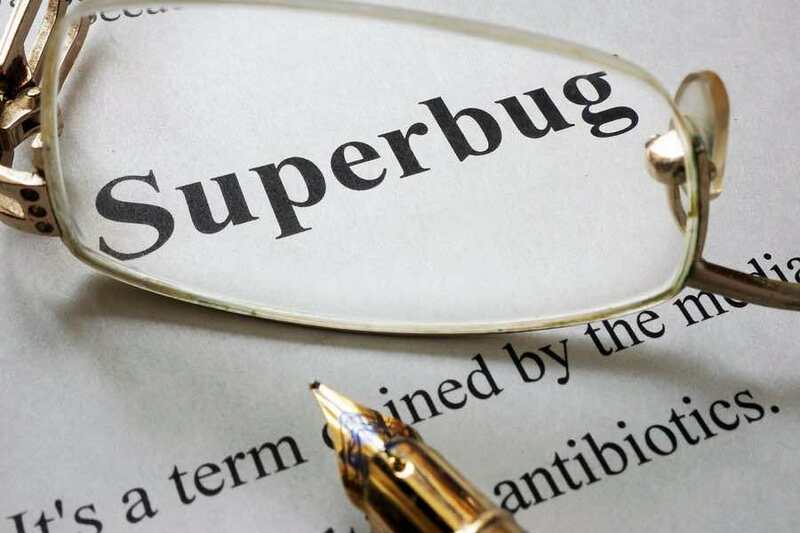 Approximately 5-10% of all patients that are admitted to the hospital develop some degree of an infection from what’s referred to as superbugs. These people typically then have to undergo longer hospital stays and require more intense treatments in order to recover and some don’t recover as well either. In fact, more than 90,000 patients die every year from an infection from these superbugs, which prove to be incredibly hard to treat. Some of the infections they can cause include HIV, staphylococcal, tuberculosis, influenza, gonorrhea, candida, and malaria. Likely you’ve heard of all of these before. The good news is, black seed is proving to provide a significant benefit to helping treat these superbugs, allowing patients to potentially recover quicker than if they had just used conventional medicine (2). For this reason, black seed oil is quickly becoming one of the most talked about natural treatments out there. Another benefit that black seed has to offer is that it provides such powerful phytochemical and antioxidant capabilities. Research that has been done on black seed has shown that patients who are using it have noted a 52% decline in tumor cells, so this is one oil that they may want to start using immediately. This is thanks to the thymoquinone compound, which helps promote apoptosis, which is where the cancer cells kill themselves directly and it’s been shown beneficial in leukemia cells (3), breast cancer cells, as well as brain cancer cells. Likewise, it may also help to inhibit pancreatic cancer and it does this through the anti-inflammatory properties that it possesses (4). All of the research being done in this area right now is giving strong hope to the medical community that black seed oil may be one of the best natural treatments yet in the case of cancer. Another area where we can expect to see benefits from using black seed oil is with liver health. 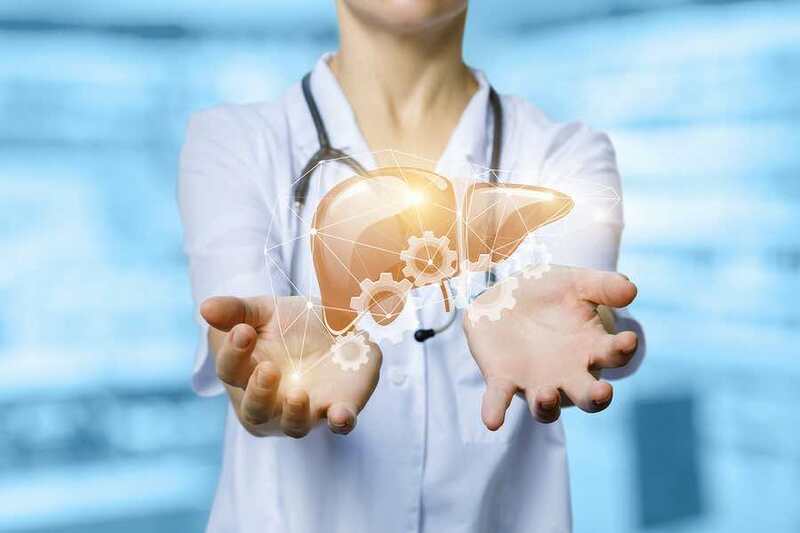 Your liver is an incredibly important organ in the body and has the responsibility of helping to detoxify the blood and ensure that you are excreting waste as you should. There isn’t a single toxin that isn’t processed by the liver so it has a lot to bare as it functions on a day to day basis. On top of this, your liver is also the place where bile is produced, which is necessary for the proper breakdown and the utilization of fat in the body. Sadly, not everyone’s liver is functioning as it should. Many things you do on a day to day basis do impact your liver health and this can make it less capable of handling these important life-saving tasks. Those who are dealing with poor liver function, whether due to alcohol consumption or disease states, black seed oil is proving to be beneficial. It may help to rejuvenate the liver, providing strong healing benefits that then help to get it back to functioning as it should (5). Black seed oil can also work as a preventative treatment as well so if you are simply looking to maintain the health of your liver as best as possible, you’ll want to consider adding it to your day. This way, your liver will hopefully never be at a position where it’s not able to filter out those toxins like it should. Rates of diabetes are now on the rise and we are seeing more and more people fall prey to this illness every day. Due to our changing lifestyles, which involve us consuming an ever increasing intake of processed and fast foods, many of which contain very little in the way of nutrition and leave our blood glucose levels skyrocketing. Simply going on a lower carb, higher fat diet can be helpful in the treatment of diabetes because unlike carbohydrates, dietary fat helps keep blood glucose levels stabilized. You won’t get those blood glucose spikes like you get with carbohydrates after eating a meal rich in fat. This said, you do need to be careful that you don’t eat too much fat that you start experiencing rapid weight gain. If you do that, you may be left with a situation where you are at risk of diabetes due to a higher body fat percentage. Balance is key, like all things in life. But of all the fat you do take in, you’ll want to ensure some of it comes from black seed oil. Research published in the Journal of Endocrinology and Metabolism has noted that black seed oil helps to combat diabetes by helping with the regeneration of the pancreatic beta-cells and may also help to lower the serum insulin concentrations and decreases the elevated serum glucose present (6). What’s unique about this is, it means that you may actually be able to help treat both type 1 and type 2 diabetes with black seed oil, which is a rare find. Most natural treatments we see today help treat type 2 diabetes, but not type 1. This is revolutionizing the diabetes world. Some researchers have said that black seed oil may be as effective for improving glucose tolerance as metformin, which is a drug that is heavily prescribed for diabetic patients by doctors. The good thing is that while metformin often comes with a whole long list of side effects the patient then has to endure such as bloating, constipation, heartburn, headaches, muscle and stomach pain and indigestion troubles, black seed oil doesn’t have any unwanted side effects when used as it should be (and the calories accounted for). According to the CDC, 32.2% of all men and 35.5% of all women are classified as obese in today’s world. So anything we can do to help end obesity is a very good thing. Black seed oil may provide some benefits. Researchers are now looking at how some plants may provide anti-obesity benefits, to the point where if subjects eat these plants on a regular basis, it may help to ward off weight gain (7). Black seed oil is one of these plants. 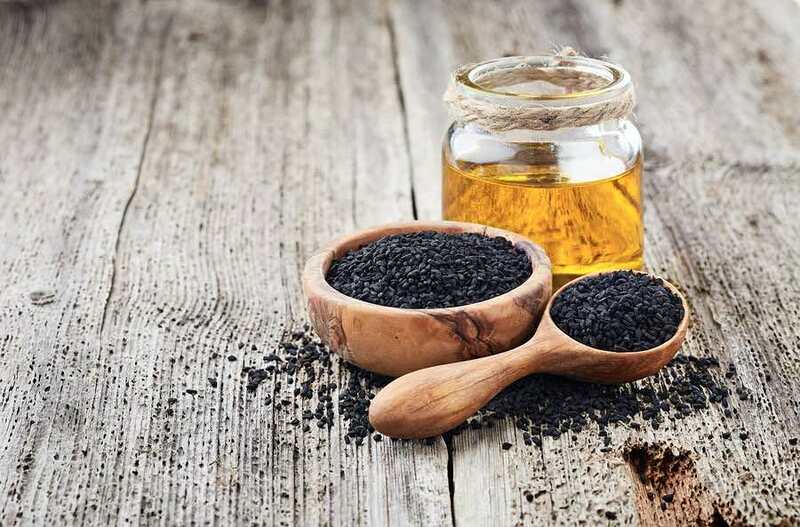 The reason behind this is not fully apparent yet, but research is showing a correlation between those who consume black seed oil and their overall body mass index. It would appear that those who do use it regularly in their diet possess a lower body mass index as well as a waist circumference, which is giving researchers reason to believe that it may help with fending off diabetes quite well. It should be understood however, that this oil is not going to work miracles. You can’t simply add it to your diet and do everything else the same and expect to lose weight. In fact, doing so may cause you to gain weight because the supplement is going to contain calories. So first, it needs to be worked into your diet in a way that it’s replacing calories not adding calories and second, you do still need to be following a calorie reduced diet to see benefits. If you’re one of the unfortunate people who suffers from eczema, you might just find that black seed oil can help provide some relief. Typically patients who suffer from this condition are prescribed Betamethasone to help manage the discomfort and clear up the rash however this often comes with a number of unwanted side effects. These include things like swelling in your face or hands, tingling in the mouth, a feeling of tightness in the chest, difficulty breathing, skin color changes, dark freckles, as well as muscle weakness. Some people even notice weight gain resulting from using Betamethasone, which then presents a host of other problems to deal with. So you are trading one problem for another, so to speak. The good news however is that black seed oil doesn’t come with all these negative side effects so it’s a much healthier choice for those who are dealing with this issue. Along with using black seed oil, also be sure to check out a good probiotic product such as P3-OM, which can also help to promote clearer, healthier looking skin. Dreaming of luscious locks? If so, you may want to add black seed oil to your list of foods to consume in your diet plan. Note that this implies whether you are eating it directly or putting it straight onto the hair and scalp. Both will offer benefits so if you really want to improve your hair from the inside out, utilize these strategies together. It can help improve hair health because it is an antihistamine, and may also help to assist with those who are experiencing hair loss due to androgenic alopecia or alopecia areata. On top of that, those who use it regularly may also report experiencing less dandruff and dryness in the hair, which then results in less breakage and healthier looking stronger hair altogether. So as you can see, there are plenty of great benefits to getting black seed oil in your diet plan today. Because it is an oil, there are many different ways it can be worked into your diet, so this isn’t a food that you should struggle to take in. It does have a rather strong bitter taste to it so keep that in mind. Additionally, it’s best used when eaten raw as this helps preserve all the health benefits, so consider mixing it with other ingredients and using it as a salad dressing. Also, black seed oil, like all herbal treatments, can interfere with some medications. So speak with your doctor before you start treating yourself with it, provided you plan to use it daily. Finally, it may cause blood clotting to slow down, so those who are receiving any treatments for blood clots should definitely speak with their physician before proceeding. 1. What is black seed oil and what does it do for you? Black seed oil is a naturally occurring oil that can be used through consumption or applied topically. It may help to reduce the spread of cancer, combat diabetes, lower body weight, and improve hair and skin health to name just a few of the key benefits. 2. Can black seed oil regrow hair? Black seed oil may help with regrowing hair in thinner areas of your scalp if you suffer from alopecia. It may also help to prevent hair breakage, which will in turn help hair look thicker over time as you will retain more of your natural hair rather than seeing it break off instead. 3. Can you lose weight taking black seed oil? Black seed oil does appear to have a connection to weight loss as those who are using it often report seeing lower BMI values than those who aren’t using it. Do keep in mind though that because it contains calories, you’ll want to be careful with how much of it you take in. 4. Is black seed oil safe to use? For most people, it is. It can slow blood clotting however, so if you are someone who is already experiencing treatment for blood clotting reasons, proceed with caution and speak to your doctor prior to using it. 1. Parillo, M., et al. “A high-monounsaturated-fat/low-carbohydrate diet improves peripheral insulin sensitivity in non-insulin-dependent diabetic patients.” Metabolism 41.12 (1992): 1373-1378. 2. Salman, Mohd Tariq, Rahat Ali Khan, and Indu Shukla. “Antimicrobial activity of Nigella sativa Linn. seed oilagainst multi-drug resistant bacteria from clinical isolates.” (2008). 3. Salim, Landa Zeenelabdin Ali, et al. “Thymoquinone induces mitochondria-mediated apoptosis in acute lymphoblastic leukaemia in vitro.” Molecules 18.9 (2013): 11219-11240. 4. Olive, Kenneth P., et al. “Inhibition of Hedgehog signaling enhances delivery of chemotherapy in a mouse model of pancreatic cancer.” Science (2009). 5. Hamed, M. A., N. S. El-Rigal, and S. A. Ali. “Effects of black seed oil on resolution of hepato-renal toxicity induced by bromobenzene in rats.” Eur Rev Med Pharmacol Sci 17.5 (2013): 569-581. 6. Mathur, Murli L., et al. “Antidiabetic properties of a spice plant Nigella sativa.” Journal of Endocrinology and Metabolism 1.1 (2011): 1-8. 7. Hasani-Ranjbar, Shirin, Zahra Jouyandeh, and Mohammad Abdollahi. “A systematic review of anti-obesity medicinal plants-an update.” Journal of Diabetes & Metabolic Disorders 12.1 (2013): 28. ← Is Fluoride Actually A Healthy Substance To Be Taking In?